KOKOMO, Ind. – Eli Grimes will have the opportunity to do something that most high school baseball players dream of – playing at the collegiate level. 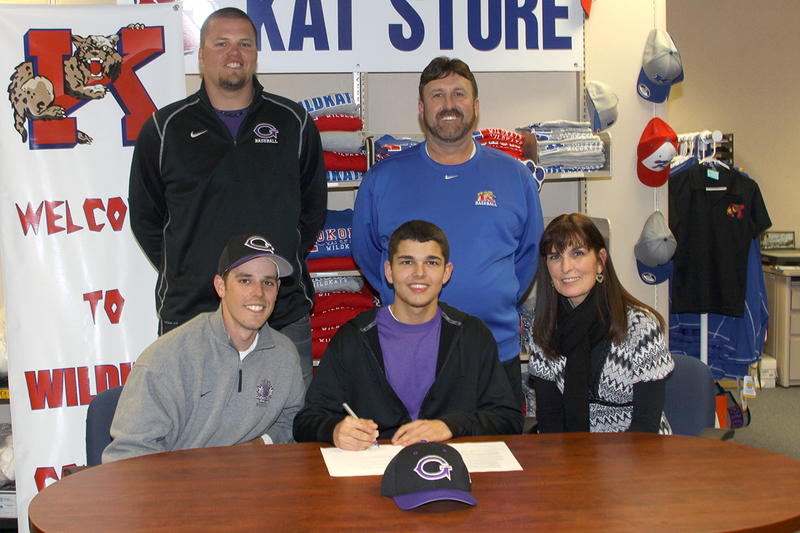 The recently graduated Kokomo Wildkat shortstop joins five of his teammates who have received the invitation to play college baseball – for Grimes, the choice is Goshen College, which plays at the NAIA level. Goshen assistant coach Alex Childers is excited to bring a Wildkat into the fold. He said Grimes is the type of player who will fit right into the Maple Leafs mantra of hard work. Childers said bringing a former Kokomo player into the Goshen system should have a positive trickle-down effect on the rest of the team. Kokomo head coach Tim Weeks said he is confident Grimes will be able to play at the NAIA level with Goshen. Weeks said that if Grimes wants to succeed, he will need to continue to develop as a player. Grimes joins Parker Sanburn (University of Arkansas), Preston Emmons (Goshen College), Cody Shipley (Franklin College), Jacob McMain (Franklin College) and Chase Hatfield (Ancilla College) from the 2013 Wildkat baseball team who will play college baseball this fall.